Do you need to be a fashion photographer? Fashion photography is certainly a tough industry to break into, however, if you happen to be prepared to work hard, have a good thoughts and contain the ability to consider ideal photographs you might be away and off to an enhancement. 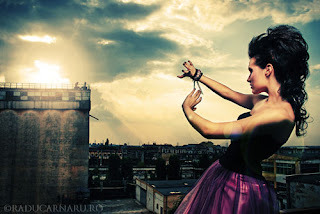 A way digital photographer have to be great in two digital photography professions. Initial, you need to be an excellent portrait wedding photographer * second, you'll need to be capable of develop photographs to the ad industry. You should be able to combine both the if you are planning to ensure success. To be a productive fashion photographer you have to furthermore have a passion for great style outfits * with out them you will not ever get the height that provide achievement. A fashion wedding photographer must stay up to date with all of the latest fashion and enjoy the capability to employ his/her thoughts to market new patterns. Selling is the vital thing -- the fashion photographer has to be capable to sell his photos towards the style publisher. Fashion photography is actually advertising and marketing outfits. To establish a status in fashion photography, the first thing you should do is set up a stock portfolio. Your profile should exhibit your best work and turn into your first feature. The second, and also equally as essential as the very first, is always to build a web-based stock portfolio -- your own private Site. To put together a portfolio you initially should engage a product. Contacting your local acting agencies are able to do this kind of. You don't have to employ a well-known model for the trend profile : you'll need someone that will behave nicely as you're watching Steadicam. To be very effective you'll want to make a excellent romantic relationship using models. A few types can be hard to do business with so people therapy will play an essential part. Should you decide in order to blast in your home office studio offer a modifying room for them. 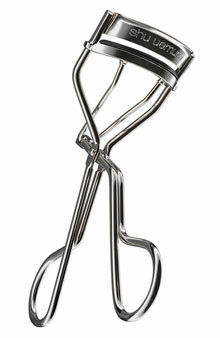 Shu Uemura, the "Rolls Royce" of eyelash curlers. 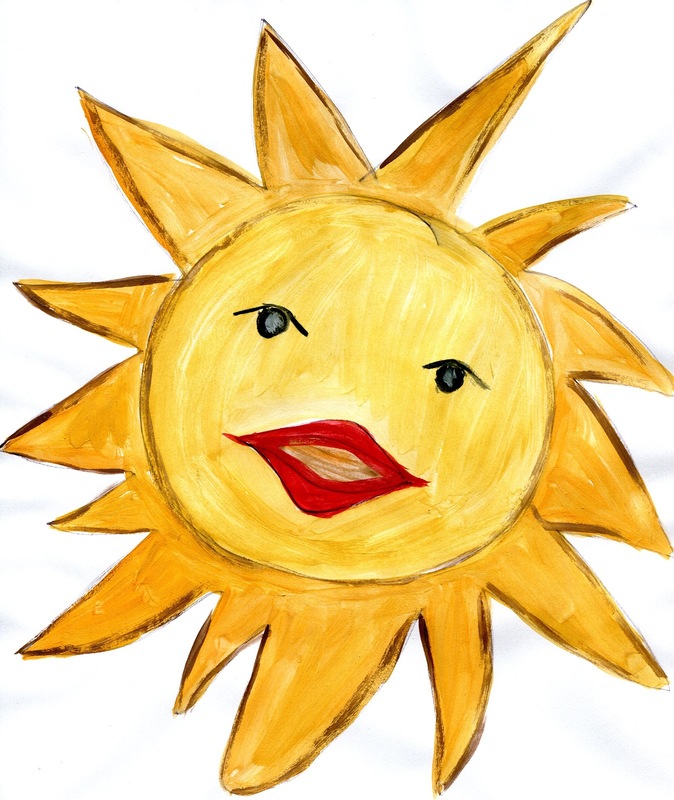 Marsi is back today with another one of her "value-added" posts. See below. . . So, I've already told you about my thinning eyebrows. Alas, it doesn't stop there. My eyelashes aren't what they once were either, but it seemed like something I just had to live with. I know women get wonderful results from Latisse, but the potential side effects (changing iris colors, undereye discoloration) concern me. I filed spindly eyelashes under "C" -- for c'est la vie. Throw out your thickening mascara. Lashes get thinner as you age, so conventional wisdom says you need a thickening mascara to bulk them up, but common wisdom is wrong. "Your lashes can't support the extra weight," says [makeup artist Sandy] Linter. "Heavy formulas flatten the lashes." Instead, use a lengthening mascara, like Lancome Définicils High Definition Mascara, which tends to be lighter on the lashes, and look for mascaras with thin wands so you can easily coat each lash. I'd never thought about my eyelash issue in that way: that fewer eyelashes mean less support for the weight of mascara. For me, it was, as the French say, a coup de foudre -- a lightening bolt moment. After decades of using thickening, volumizing mascaras, I'd literally never tried a lengthening formula. I had to give it a whirl. There are good lengthening mascaras available at every price point, but I'll confess, mascara is the one cosmetic item I never buy luxe. I like to replace it every six weeks so it's always really creamy. I've been really pleased so far with L'Oreal Telescopic Original. It has a nice, creamy formula that doesn't clump a bit, plus it has a slender brush that reaches every lash, even the tiniest ones in the corners. I've always loved L'Oreal's mascaras, and this is no exception. L'Oreal makes great cheap thrills. 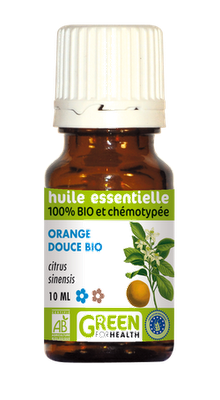 Another plus: this lighter-weight formula is so much easier to remove at night, and I never find residue resisting my best efforts to remove it. 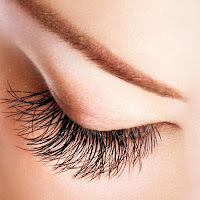 So tell me: are your lashes getting thinner, or is it just me? 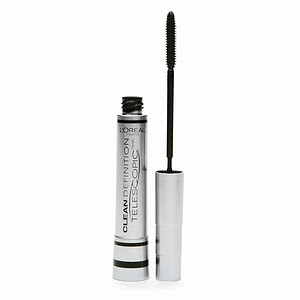 Have you tried lengthening mascara, and if so, what did you think? P.S. I know you're curious about the other 15 ways, so here they are. I'm a little skeptical of some of them and the rest seem obvious, but judge for yourself. Moisturize your skin. A lot. Click-pen concealer formulas are best for not drawing attention to lines and crepiness. Use a damp sponge to sheer out your foundation. Skip powder (or "use translucent, light-diffusing powder, nothing tinted"). Keep piling on the moisture -- creamy blush, creamy eyeshadow, creamy lip color. "Rub your blush in along the highest points of your cheekbones -- it makes your bone structure stand out." Tweeze, but only if you absolutely must. 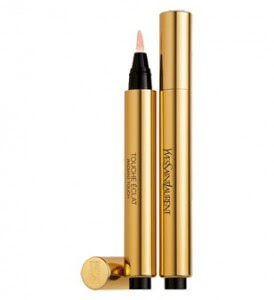 Use a brow pencil that's "a shade lighter than your natural coloring, and hold it at a 45-degree angle." Swap out your black eyeliner for brown. Don't be afraid of a little shimmer, especially in the inner corners of the eyes. Stick to lipstick shades that "enhance your natural lip tone, rather than bringing attention to the area." Try highlighter on the cheekbones. 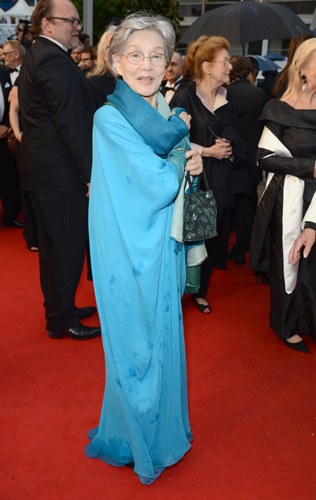 Emmanuelle Riva, star of the Palme d'Or film Amour. The Cannes Film Festival has rolled up its soggy red carpet -- lots and lots of rain -- until next year. But before we say au revoir, I thought it might be fun to take one last look at the beautiful women of a certain age who added absolute glamour to the scene. Look at that face above. Isn't she lovely? 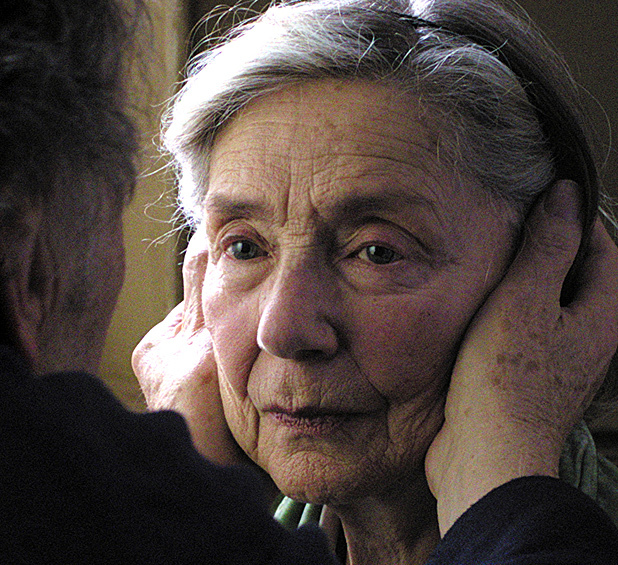 The 85-year-old actress is the star of the film, Amour, which won this year's Palme d'Or. Her co-star is 81-year-old Jean-Louis Trintignant whom we have not seen for many years except on the stage in Paris. Reviewers who like to look beyond one award to the next are predicting the film, by Austrian director Michael Haneke, will win the Academy Award for best foreign language film. They called the love story "heartbreakingly honest." Isabelle Huppert co-stars with Jean-Louis Trintignant and Riva in Amour. I think it is thrilling to see, even if rarely, roles for actresses of a certain age and beyond. It is somehow comforting to realize some directors (and producers who take the gamble) believe that there is an audience out here for touching, heartwarming stories that make age irrelevant. A life well-lived is not reserved only for the very young. Au contraire. Here then is a parade of beauties who prove life does begin at 40 -- and then continues for the duration. It's a decision for each of us to make. Sandrine Bonnaire, hand-in-hand with actress Alexandra Lamy wife of Jean Dujardin, winner of the Academy Award for best actor in the film, The Artist. Andie MacDowell and her daughter, Sarah. A demain my darling amis. Fashion forward French feet -- Valérie Trierweiler in YSL platforms at the White House. 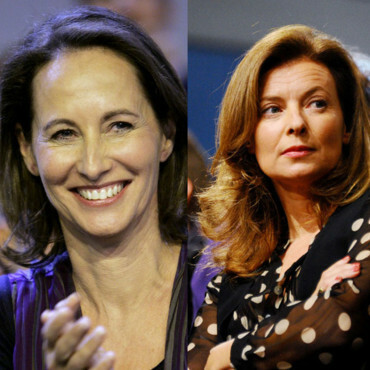 France -- and perhaps the world (or perhaps not) -- is embroiled in the intrigue and the reported jealousy that is raging between France's current "Premier Companion," Valérie Trierweiler, and Ségolène Royal, the former companion of the current president. The London Daily Telegraph reported on the situation and this week's Elle had a splashy front cover teaser alluding to the brouhaha. Inside, the article mostly talked about Madame Trierweiler's purported jealousy indicating that Madame Royal's has probably cooled since the new president has been with his companion several years. Also of great interest were the Yves Saint Laurent shoes Madame Trierweiler wore during president François Hollande's official visit to the United States earlier this month, although the two subjects were not part of the same articles. I wrote an essay for Women's Voices For Change today that talks more about the current cultural conundrum and the delicate matters of diplomatic decorum involving France's first unmarried president and his companion. Since I have major interviews on my calendar for next week I thankfully have a lot of help from my friends to keep us entertained in this space. 1.) France's "Premiere Dame" (unmarried). It appears the saga is getting more interesting (read complicated). 2.) The final installment of wardrobe suggestions for the mothers of the betrothed by my friend Janice creator of the brilliant blog The Vivienne Files. 3.) Now that you have assessed our closets, Marie-Therese Norris will tell us what we do next. I suspect it might be painful. 4.) Maybe Marsi. . . She said "maybe," but I have no confirmation. 6.) A French Country Weekend. Weather report: Exquisite. Warm temperatures, sun, sun, sun, every so often a light breeze. The birds are wildly happy talking amongst themselves, the dogs are sunbathing and we're about to have lunch in our gazebo. All is right with the world. I hope you're having a perfect day. Just back from the market where I bought cherries (!) my favorite fruit. I've already made my wish as I add them to my list of fruits eaten for the first time this year. 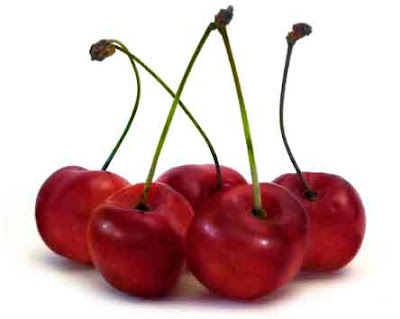 So far I've had: strawberries, blueberries, raspberries and now cherries. I did have a melon, but one of you pointed out that it was imported and you were absolutely correct. I wonder whether this gives me the opportunity to re-eat a melon grown in France and thus make an extra wish. I've made the same wish on each fruit. Surely it will come true in that case don't you think? 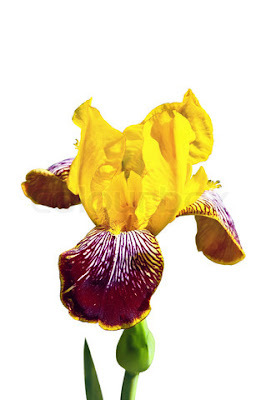 Yesterday a friend of mine gave me three beautiful -- cut -- bearded irises in deep purple and yellow. When she saw how delighted I was she promised to give me some rhizomes in the fall. On the outside chance, you, like moi meme, have no idea what a rhizome is, below is the definition from the Encyclopedia Britannica. rhizome, in botany, horizontal, underground plant stem capable of producing the shoot and root systems of a new plant. This capability allows the parent plant to propagate vegetatively (asexually) and also enables a plant to perennate (survive an annual unfavourable season) underground. In some plants (e.g., water lilies, many ferns and forest herbs), the rhizome is the only stem of the plant. In such cases, only the leaves and flowers are readily visible. Weather report: unspeakably gorgeous or, as the forecasters have been saying, "July in May." We truly deserve these temperatures and sunny skies after the dreadful weeks of rain, hail, chilly temperatures and gray, gray skies. Dateline Paris: Back From Beauty Hell . . . Yesterday I mentioned the conversation I had with my friend about the necessity to be rich to remain beautiful. Recently I spent a day in one of the world's most magnificent spas. Words can not explain the other-worldly divine-ness of the experience. However, and this shows you how crazy I am, while in the midst of experiencing nirvana (not being a Buddist I may be taking liberties, but you get the idea) all I could think about was the experience below which I told you about last year. I'm re-sharing it again because I won't be home the entire day (I'm writing this in the middle of the night on Thursday). Regarding my problems about living "in the moment" I've been told about a French magic medical man who teaches his patients exactly how to do that. I've called for an appointment -- more on that later. For the first time in my life I understand the adage, "You must suffer to be beautiful." The fact I'm alive (barely) to tell the tale is a miracle. It's difficult to believe the saga could unfold in the beauty capital of the world, but it did. I was partaking -- with enormous enthusiasm and anticipation -- in what I thought would be a perfect day. I was using a gift certificate for a "day of beauty" in an obscure institute de beauté. The appellation, "spa," is slowly beginning to enter into the French language, but would, under no circumstances be applied to this place. With my certificate in hand I opted for a full-body gommage (exfoliation) with essential oils, then (with my own money!) I added on to my gift certificate, "enveloppement," back to this in a second, but let me say I assume the experience could be likened to a seance in a straight jacket minus the heat and perfumed oils. Let me walk you through the enfer (hell) that was my unforgettable jour de beauté. I come in out of the rain and am greeted at the front desk -- so far, so good. My technician says, "follow me." I follow her down a miniscule corkscrew staircase into the deep, nether regions of hell. Upon stepping off the last step, I trip over another step going up into the darkened room where the procedures are about to unfold. Elle: "I'm sorry, I always forget to tell people about that step. Don't worry, everyone trips on it." Elle: "Here's your paper string and hat. Just hang your clothes up over there. I'll light the candles and turn up the heat." Elle: "You can get up on the table -- either front or back, your choice." 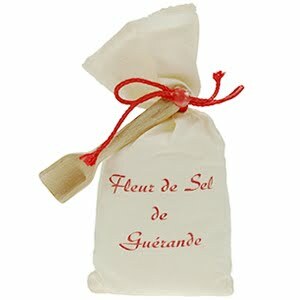 Elle: "You said you didn't want "La Gourmandise Gommage" [chocolate] so I prepared one with orange oil and salt. How's that?" I lie down on my chest and she begins gently, annoyingly so, rubbing the above mentioned mixture on my body, starting with my calves, moving down to my feet and eventually working her way from the point where my neck meets my shoulders and scrupulously avoiding my hands, stopping abruptly at the wrist bone. As she worked, the room got hotter and hotter. Then she started coughing, choking, wheezing, sneezing, and generally covering me with germs. All I could think was, "We are in germ heaven, the perfect Petrie dish/Bunsen burner conditions of heat and moisture and I'm the culture." Finally, I can't stand the hacking any longer. 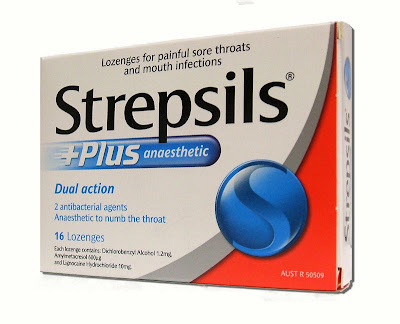 I jump off the table (wearing my paper hat and string and nothing else), grab my bag and hand her a box of Strepsils. She stops coughing, but not sniffling. Moving right along. . .
Elle: "Now you have to take a shower. Be careful, it's dark in there." I get out of the shower and she hands me a new paper string and a towel -- not a bath sheet mind you. I dry myself and anticipate the finale, the envelope. While I was showering she prepared the table with what looked like a huge Hefty bag, cut and spread from end-to-end to protect the pleather. I lie down and the Hefty bag immediately sticks to my body. She peels it off. This happens several times. 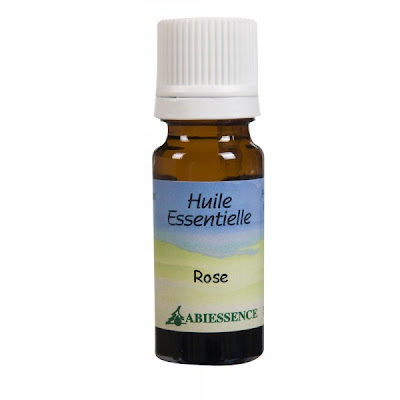 Next she gingerly applies essence of rose oil, same procedure, no hands, no neck, no massage. It's hard to imagine, but liquids can be applied to the body with barely a touch. I wanted to say to her, "Just pour the oil on me and roll me around on the Hefty bag." The idea behind the straight jacket/envelope is that once the dead skin is exfoliated and rinsed clean, the rose oil will penetrate into the epidermis and leave it feeling like charmeuse. Now she finally purposely wraps me in the Hefty bag, my arms are along my sides and she locks me into a heated something or other, snap, snap, snap. Elle: "I'll set the timer for 20 minutes and then I'll be back." Instead of lying on my back, I'm lying pinned to the table on my stomach. After about three minutes the pain starts radiating from my neck, across my shoulders, down my spinal column finally pooling out in the lower lumbar region where it stays and congeals, occasionally sending messages back up to my neck. Another adage leaps to mind in my near delirium, "stewing in her own juices." I'm boiling alive and there is no escape. I'm generally not claustrophobic, but I'm getting wild and have no way to alert anyone to my pain and suffering. Plus, I'm dying of thirst. Ten minutes in I consider doing a fish flop to turn myself over. Then, despite the raging agony, I have a lucid moment wherein I realize I couldn't get the proper leverage off of the table and would probably flip myself onto the tile floor and knock myself out. As the minutes ticked ever-so-slowly by I begin hallucinating about how pleasant it would be to lie unconscious on the cool, cool tiles. She walks through the door to the ring of the bell, spreads a few more germs about the room and releases me from my envelope prison. Elle: "You can get dressed now." Elle: "So how did you like it?" Moi: "I hated it. I thought I was going to die." Elle: "That's too bad, a lot of people really like it. It's probably because you were lying on your stomach instead of your back. I should have mentioned that. It can be quite painful." I get dressed, walk out of the dark room, and trip down the step.